Coinbase provides its users with the ability to buy and sell Bitcoin directly with the company, rather than trading with other users on an exchange. Beyond that, Coinbase also provides merchant services, which provides the ability for merchants to accept bitcoin as payment for goods or services, and have it instantly exchanged into dollars (USD). This USD is then deposited into the merchant’s bank account once per day. Unfortunately, Coinbase can be somewhat slower than the exchanges when it comes to purchasing bitcoin, as there is a multiple day waiting period after the purchase of the bitcoins before users are allowed to transfer the coins out of Coinbase. This delay is to reduce the risk of chargebacks, which could cause the company to lose large amounts of money if the bitcoins were already out of it’s system. 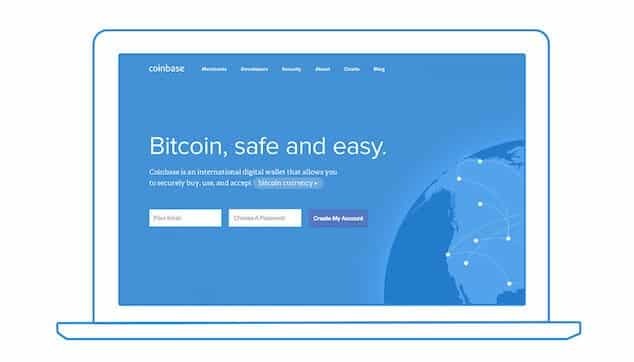 In order to begin purchasing bitcoin with Coinbase, or to sell coins, and have the USD sent to a bank account, Coinbase users must go through a verification process. This verification process has two levels, and each level provides different limits on buying and selling. Upon reaching level one, a user gains the ability to buy and sell up to $3000 in bitcoin per day. 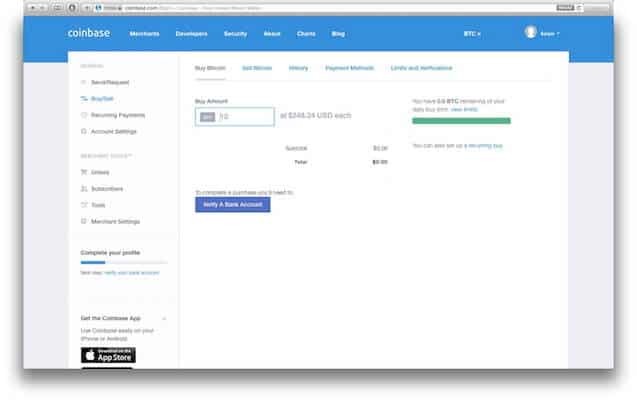 This is a significant amount of BTC, but it is not incredibly useful if you need to make a payment quickly. Upon reaching level two, a user gains the ability to buy and sell up to $50,000 in Bitcoin per day! This amount is incredibly high, but some users have reported issues with the identity verification portion of reaching this level. While the verification seems straightforward, requiring information such as legal name, address, and SSN, the system is not perfect. Users have reported being given errors which state that they are ineligible for questions, or that their correct information is being flagged as incorrect. The verification system is still in beta at the moment, and hopefully will be improved in the near future. Outside of the level system, there is a side verification that provides the ability to instantly buy some Bitcoin without the wait period. By providing a credit card (Visa only at the moment), a level 1 user will be approved for $100 per week of instant purchasing, or a level 2 user will be approved for $1000 per week.